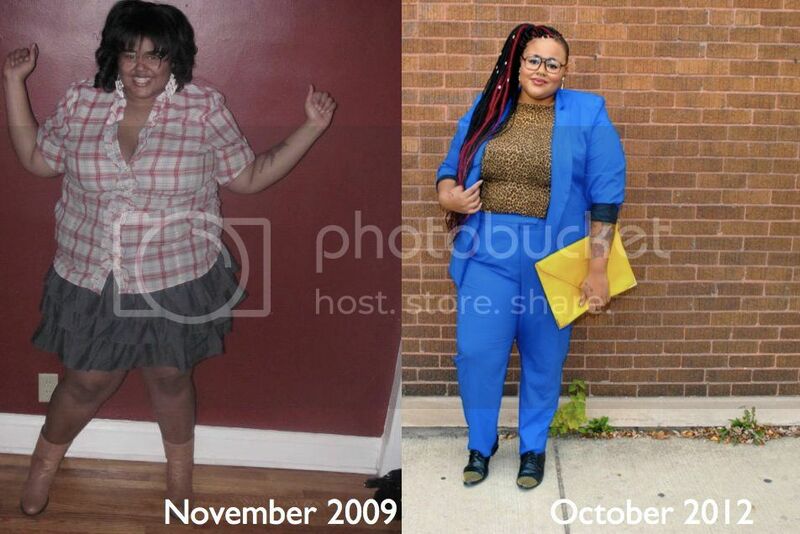 I started Fat Shopaholic in 2009 as a way of dealing with a though situation I was going through at the time. I'd only been reading two fashion blogs for about a week and had no idea about fancy cameras, advertisements or free clothes. I was just looking for an outlet to express self. While being native about blogging brought more honesty to my approach I had a lot to learn. Over three years you guys have watched my style grow, my makeup improve, and the blog design and photo quality get better. I made a lot of mistakes getting to where Fat Shopaholic is today, but I don't regret them. Most of them are here on the blog or tumblr waiting to viewed by anyone who cares. I think it's important to to show growth and how mistakes help you learn. To thank you guys for supporting Fat Shopaholic by commenting, liking, sharing, and reblogging I have hooked up with Fashion to Figure for the giveaway of 4 $25 gift cards. The rules are simple. Just enter the giveaway below and the winner will be picked in 7 days. Please use a email adress you check regularly to enter as winners have 3 days to respond before another winner will be chosen. The give cards will be mailed to you so they can be used both in-store and online. In addition I will be selecting a few more people to receive special Fashion to Figure coupons for use both in-store and online. I just started checking out your blog but love every look and ideas. You so talented and blessed. Keep up good work!